Roulette, a game with its origins in Europe always had a table with 36 number and a single zero. The single zero, and the various bets and payouts resulted in a slim house edge which earned the casinos their income. Somewhere along the line, some American casinos decided they wanted to up their house edge so they slapped an additional zero on their games (lengthening the odds of hitting bets), while keeping the payouts the same. Almost all live casinos offer the single zero version of the game. 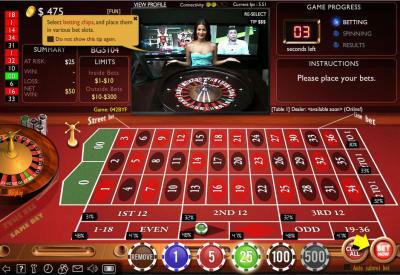 There is however at least one (betphoenix pictured above) that has an American Roulette game. As it happens, this is also one of very few live deal casinos that will accept American players. I guess they figure if US players are starved for choice they’ll resort to playing the double zero version of the game.